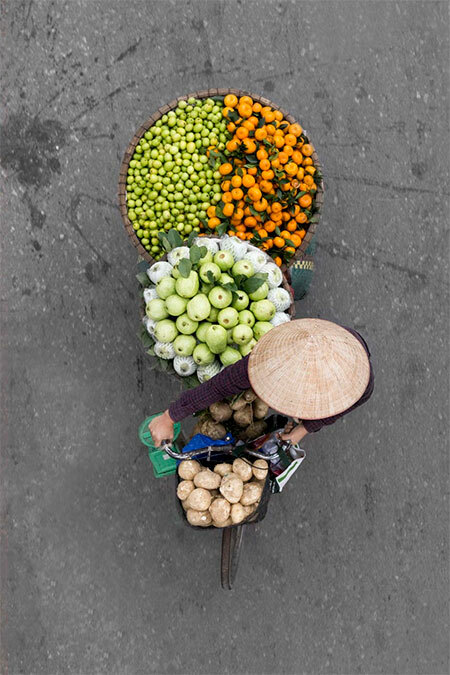 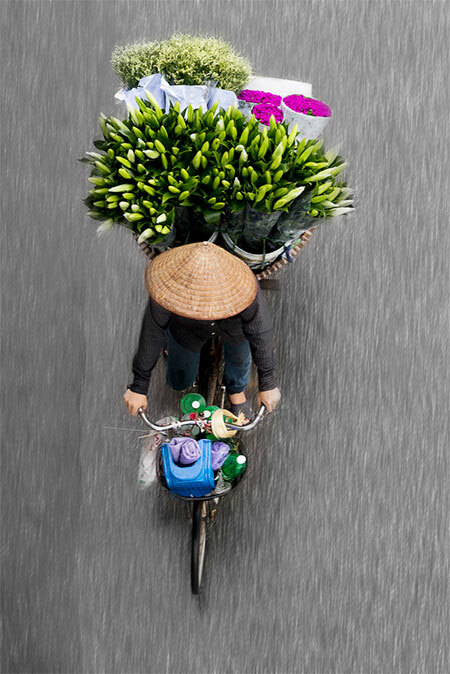 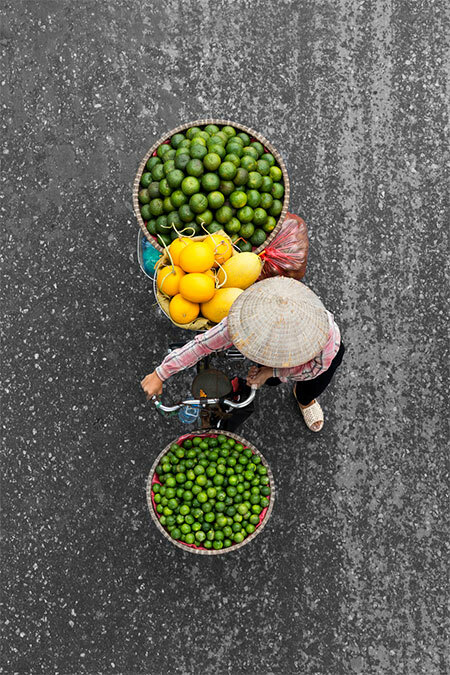 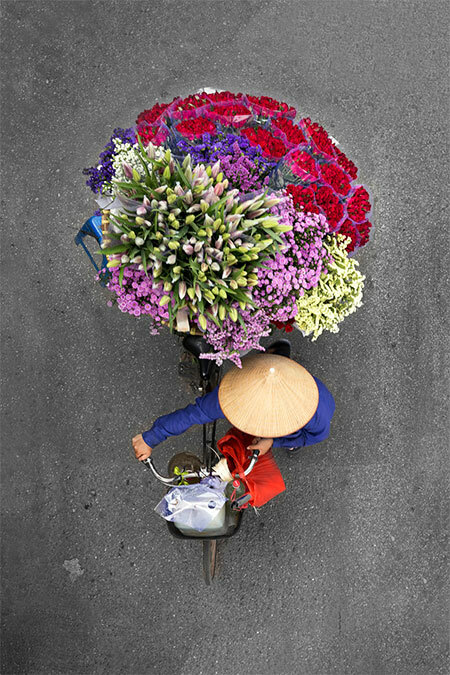 Unique photo series highlights the beauty of food and flower street vendors on bicycles in Vietnam. 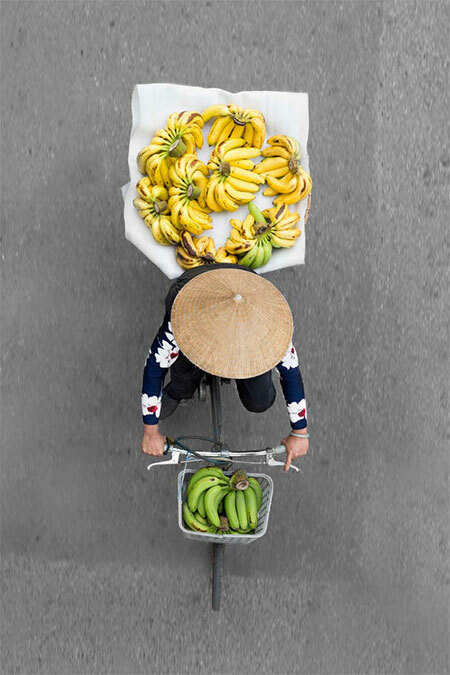 Vendors from Above project by talented Dutch photographer Loes Heerink. 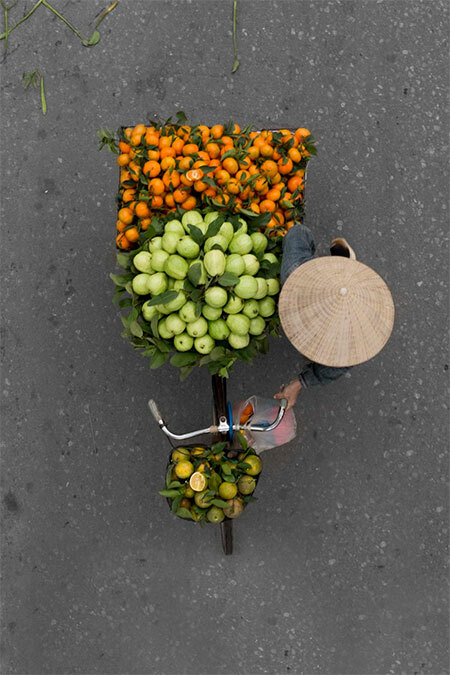 During transport, the fruits and flowers should be covered at all times. 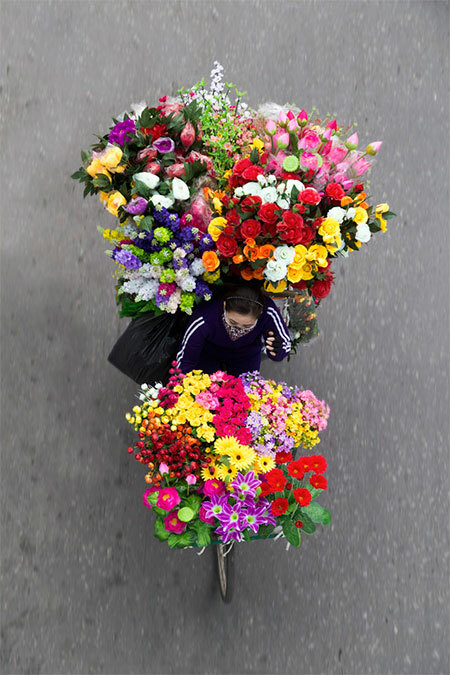 They could fall off, or get stolen by passing-by thieves. 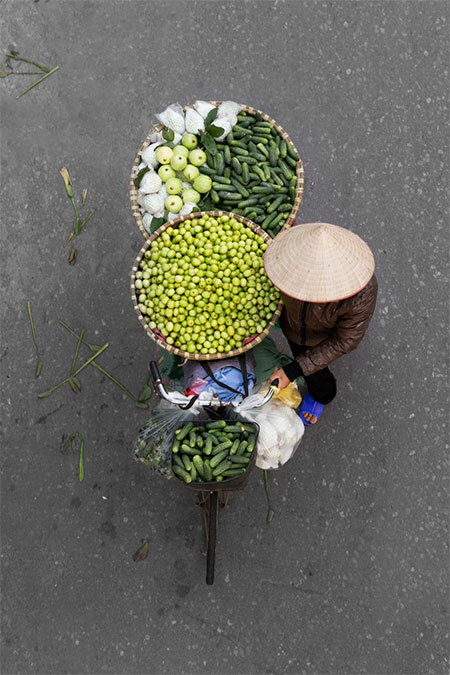 Also the cover would protect them from the weather. 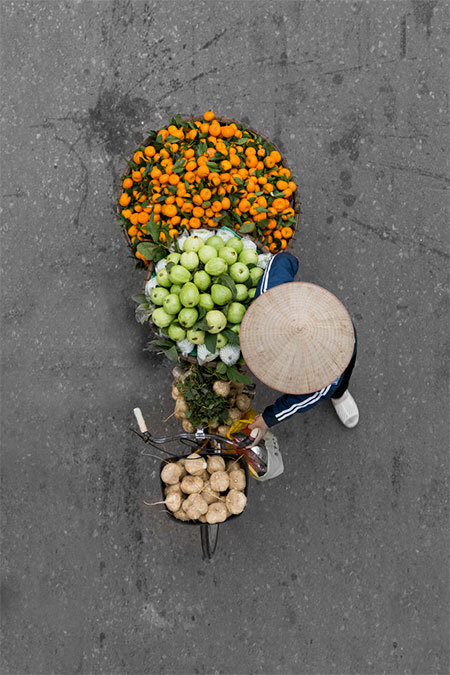 Indian vendors should see this and instead of sitting on the streets they can get inspired and sell their stuff on bicycles.This can protect the fruits and vegetables or flowers from the dirt and flies or bugs too.Step up you guys!